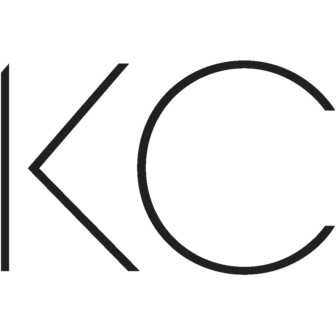 CinemaKC is announcing a call for entries for films to feature for a series of episodes spotlighting regional filmmakers for CinemaKC’s Season 5 on KCPT. Our organization hopes to expand outside its typical Kansas City-oriented spotlight and be more inclusive to the entire Missouri and Kansas filmmaking communities. These episodes will work much like a film festival. Any filmmaker who lives in Missouri and Kansas can submit their film for consideration. Click here to find out more about submitting your film for consideration. “There are many filmmakers making outstanding content in this region, and we tend to have a great number of films to choose from,” said CinemaKC Executive Producer and programmer Jerry Rapp. “However, the CinemaKC Board was concerned that we weren’t representing enough of the towns and cities outside of the Kansas City area. That’s why we’re excited to seek talent from all areas in Missouri and Kansas that might not be getting their due recognition. The weekly program is broadcast a diverse audience through the midwest region, and has an even larger range via cable providers and syndicators. In addition to spotlighting several film festivals of the surrounding area, veterans from the first season will be returning with new work, as well as standbys such as Reel Spirit – featuring work of youth filmmakers, works from members of the Midwest Association of Professional Animators, Kansas City Women in Film and the Independent Filmmakers Coalition. Those selected to show films on the program will also be guests on the program and have the opportunity to chat about the production process with returning hosts Michelle Davidson and Erin McGrane. With the new season expected to go into production in mid-Summer, the call for entries begins NOW, with three different levels of deadline choices and corresponding minimal entry fees. For more information about submitting a work to CinemaKC’s Season 5, please click here.